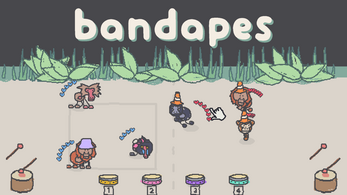 a rhythmic battle game where you take position of a band leader and play the drums to guide your squad of apes to victory! so try looking out for patterns/apes that fit well together so you can quickly dish out the right commands. you battle against the bands of other players, which are controlled by an AI that plays like the real player would (almost)! 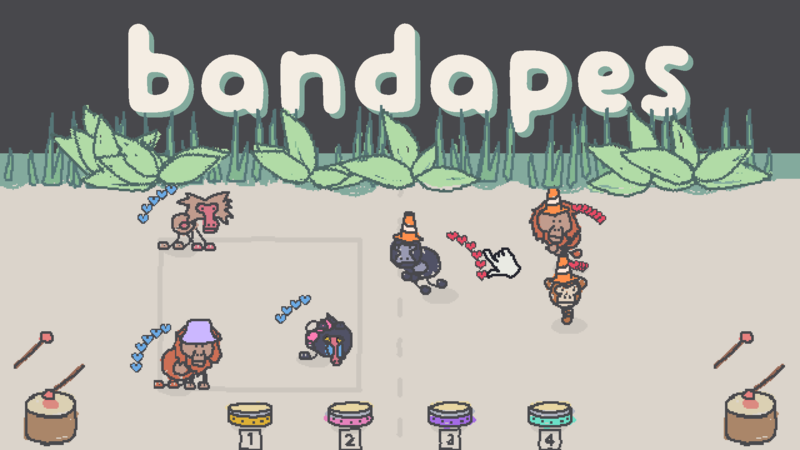 Join the 3$ Sokpop Patreon now to get this game, and our previous game kart kids, immediately! Windows - Shader error? / only see a black screen / other graphical issues? Mac OS X - Unable to find game? This is an issue we're having with OS X. Move the game to a different folder and then run the game again. This usually fixes it!